This year’s Blue Crab Bowl, the 22nd annual competition, brought together about 200 participants and volunteers. 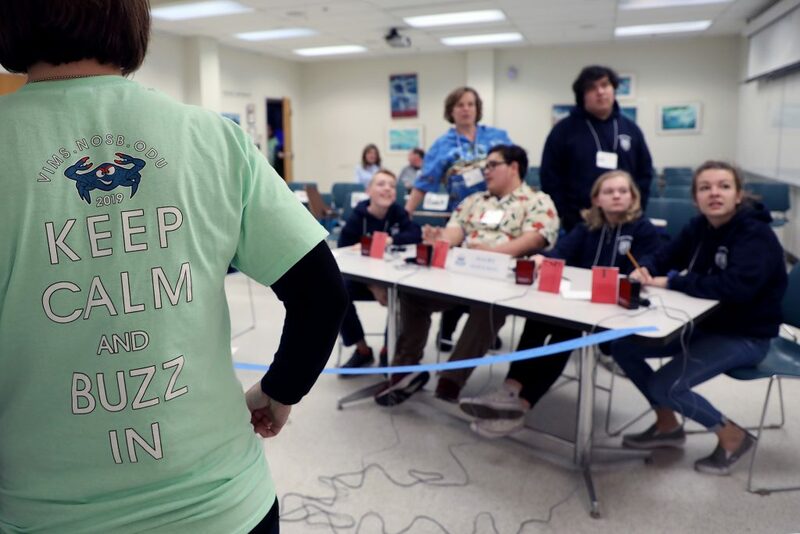 The Blue Crab Bowl is Virginia’s only ocean and marine science quiz competition for high school students. The contest tests students’ knowledge of oceanography, geology, biology, maritime history, and policy. 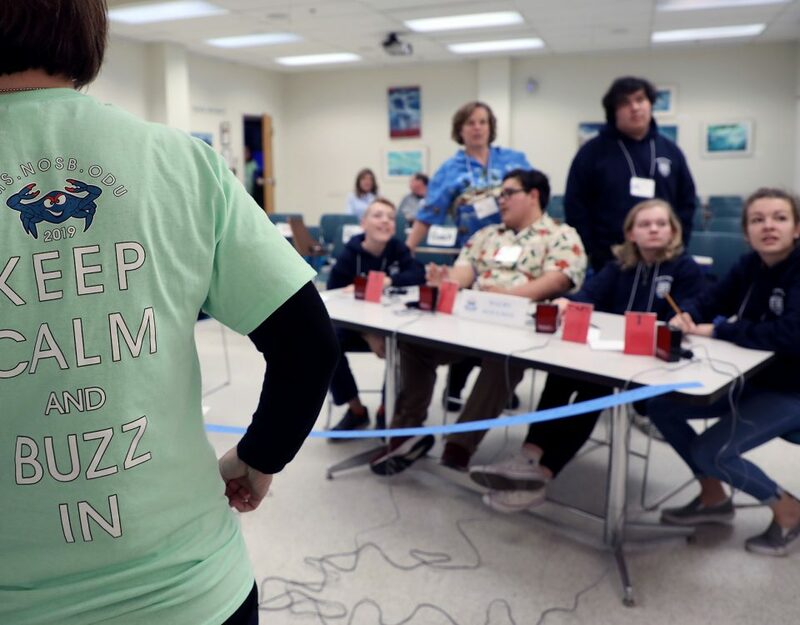 For a record fifth year in row, Bishop Sullivan Catholic High School (Virginia Beach) took first place at the annual Blue Crab Bowl, Virginia's marine and ocean science quiz competition. This year's Blue Crab Bowl was held at Old Dominion University on March 3. Other placing teams including Chesapeake Bay Governor’s School (Glenns) in second, Seton School (Manassas) in third, and Grafton High School (Yorktown) in fourth. Carol Hopper Brill received the 2011 Non-Traditional Educator Award from MAMEA this October. For a record forth year in a row, Bishop Sullivan High School took top honors at the Annual Blue Crab Bowl on Saturday February 26. Students Walker Olsen, Cameron Forren, Mary Chang, Nathan Taylor, and Joe Brindenstine with their coach, science teacher Bill Dunn were awarded a Blue Crab Bowl Trophy to commend their success at the day-long marine science quiz tournament held at Virginia Institute of Marine Science (Gloucester Point).